A fellow blogger, Karen from Karen’s Vegan Kitchen has a recipe for homemade cashew mayonnaise which I have been wanting to make for a while. This experiment was the perfect opportunity. Soak the black beans and cashews overnight. Cook the black beans and refrigerate until ready to use. If using canned beans, drain them well. Bake the sweet potatoes in a 400 oven for 45 minutes or so. Mash the sweet potato and mix in beans and flax meal. Toast the bread and spread a generous layer of cashew spread on one toast. Spread the potato bean mixture on the other side. 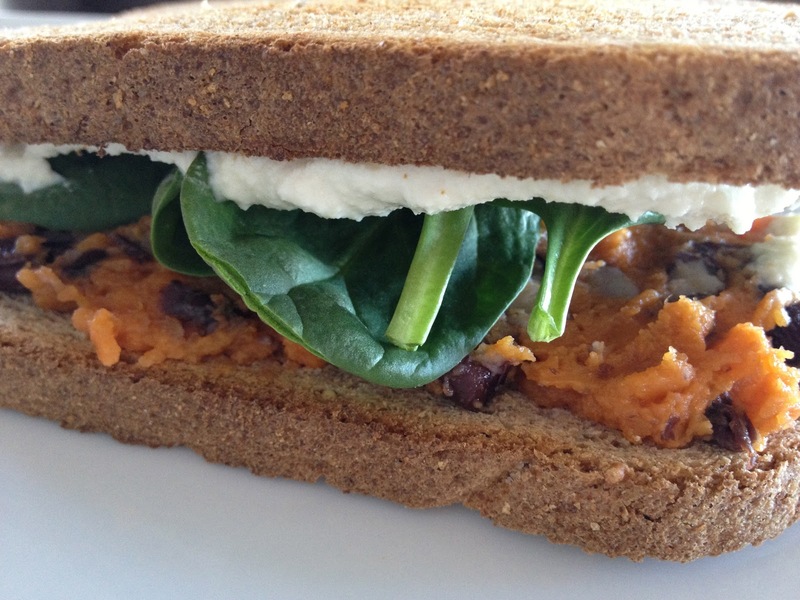 Top with spinach leaves and make the sandwich. Be happy and enjoy!